A simple and proven daily formula for peak performance and balanced growth. you don’t need a fancy notebook, and you don’t even need to print out the templates I created at the end of this PDF. You simply just need to write the word GREATER vertically down the page and get started. 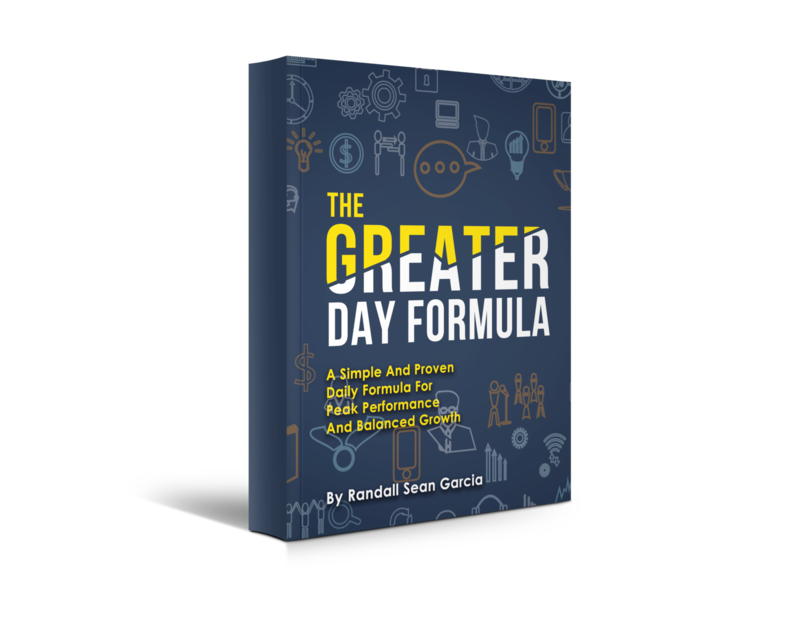 Download "The GREATER Day Formula" Now! What is The GREATER Day Formula? If you’re anything like me, then you probably see value in putting an emphasis on 4 key areas of life that focus on my well-being. These four areas for me are spiritual, intellectual, physical, and emotional aspects of life. And if you are a goal-setter, then you know how important it is to be laser focused on accomplishing 1-3 important goals every day. This is how I came up with the acronym GREAT. I did this for some time, but something was still missing. After racking my brain and doing a good amount of research on daily habits, I determined that a quick evening routine was necessary. I wanted a way to look back on my day to review my wins and look back on the lessons I learned along the way. That’s when I added the ER. What’s better than a GREAT Day? Well, a GREATER Day of course. End of Day Wins = What did I accomplish today? Reflection = What did I learn today? This was an absolute game-changer. As soon as I added this, I realized that the GREATER Day Formula became so many different things all in one simple formula. I have heard of so many people doing so many different things, but the truth is that this was an all-in-one solution. The best part is that you don’t need a fancy notebook, and you don’t even need to print out the templates I created at the end of this PDF. You simply just need to write the word GREATER vertically down the page and get started. 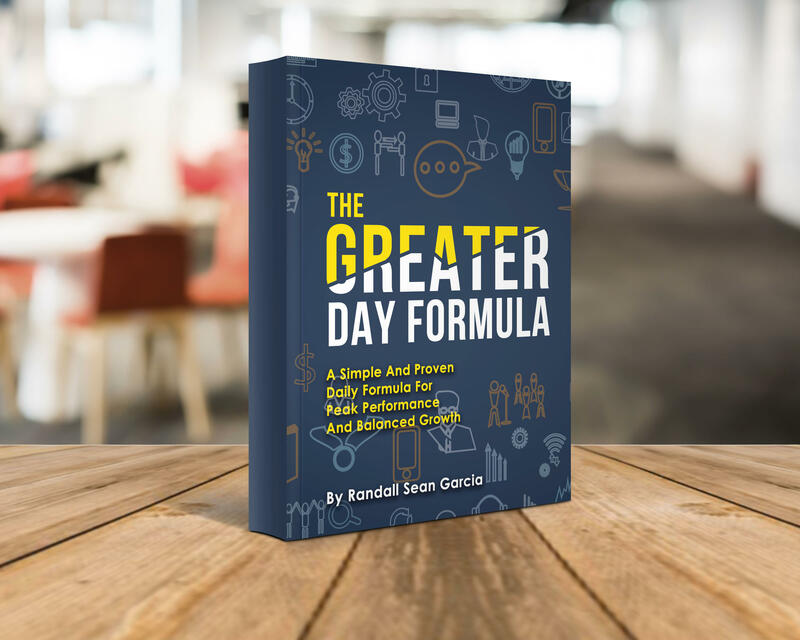 If the GREATER Day Formula has impacted your life in any way, I’d love to hear from you. The GREATER Day Formula allows you to combine a gratitude, prayer, and affirmation journal all into one easy to use format. Now you can look back and see how you were reading, growing, and what you were doing with the easy to use logs. In order to achieve your biggest goals in life, you must first set them. Achieving 1-3 important goals throughout your day is crucial to move forward. I'm Ready To Have A GREATER Day, Everyday!